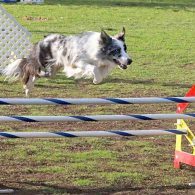 Anne Swan teaches Agility, Fun with Focus, Reliable Recall, and Rally Obedience classes for GVDC – occasionally offering Canine Good Citizen classes and testing as well. Anne earned her CPDT-KA (Certified Professional Dog Trainer-Knowledge Assessed) Certification through the international organization of the Certification Council of Pet Dog Trainers in 2008. 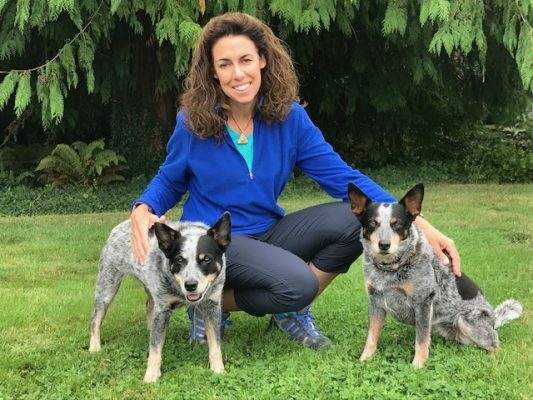 Canine Behavior is a field that Anne finds fascinating, and attends conferences and seminars annually with many of the top Behaviorists both Nationally and Internationally. 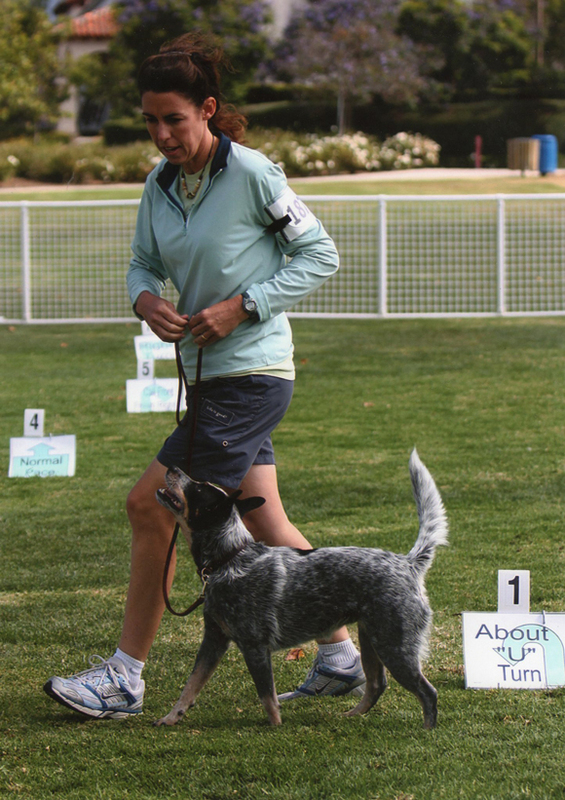 Anne uses positive reinforcement training methods with her own dogs and in all of her classes, these techniques help to create enthusiastic and confident canine teammates. 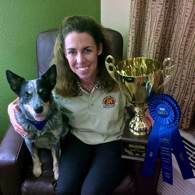 Anne truly enjoys working with her students and their dogs, and celebrates their progress and accomplishments. 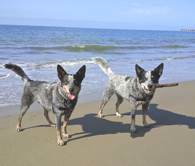 After graduating from UC Santa Barbara, Anne discovered her love for training dogs when she added a spunky Cattle Dog mix named Kiwi to her life. 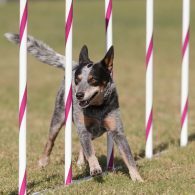 Anne has been training and competing in Agility for the past fifteen years and Rally Obedience for eight years and has truly enjoyed the time spent working with her dogs Kiwi, Zip, Kylie, Maizey, and Avid. Together, Anne and her dogs have earned multiple Champion titles in AKC and USDAA Agility, Rally Obedience, and Flyball as well. 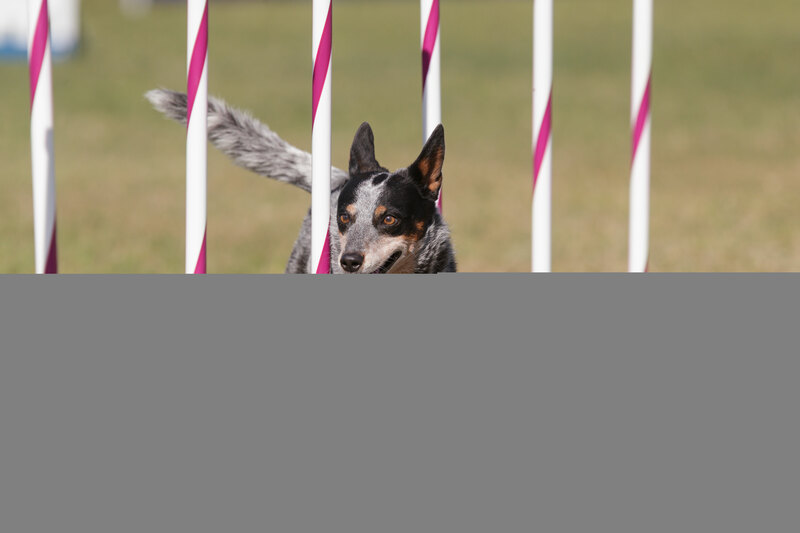 They have also attended several National Championship competitions around the country for AKC and USDAA Agility. Anne feels so fortunate to have had amazing dogs as teammates for dog sports, exercise buddies for trips to the beach and on hikes, traveling companions on trips all around the country, and family members to spend time with at home. 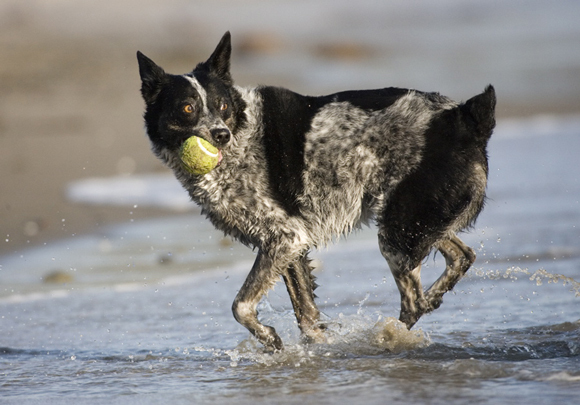 Kylie is a 13-year old Australian Cattle Dog and is one of the most decorated dogs of her breed in the sport of Agility. 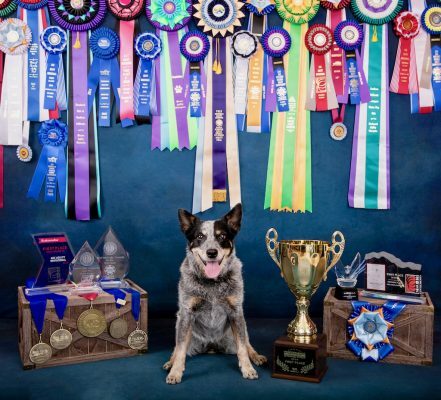 Kylie has won 4 National Agility Championships at premier events in California, Arizona, Florida, and Nevada. Every time they step to the line together, Kylie runs with all of her heart and tries her best for Anne. 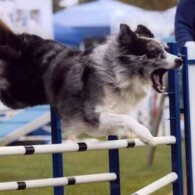 Kylie loves training and trialing in Agility and took to it very quickly as a youngster. She has been a dream partner for Anne during 10+ years together in competition: she is very smart, very fast, and not fazed at all if Anne is nervous about a run. Kylie brings confidence and joy to every course she runs, and she excels on a Jumpers course. Anne feels fortunate to have such an enthusiastic and talented partner in Kylie. She is a nice blend of athletic and sweet and is a loving, mellow couch potato at home who loves her food and treats. Kylie’s most favorite way to celebrate victories after agility trials are with meat patties from In-N-Out Burger. Kylie never misses an opportunity to roll in the green grass, her favorite way to stretch and massage her back. 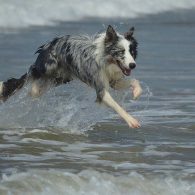 Running along an open beach and swimming either in pools or through the waves make her very happy – usually accompanied with joyous barks. Kylie’s best role is as Anne’s velcro dog, always by her side. Anne knows how blessed she is to have a dog in her life who is as special as Kylie: such a talented partner but most importantly, a cherished family member. 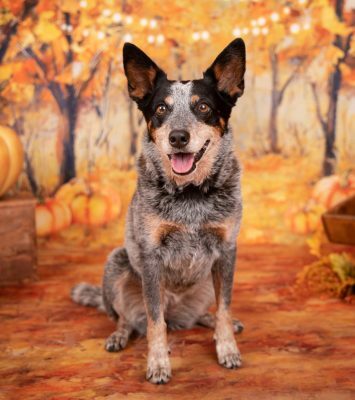 Maizey is a 10-year old Australian Cattle Dog and Kylie’s half sister. She joined the Swan family in May of 2009 and quickly made herself at home. Maizey is kind, intelligent, athletic and has a funny sense of humor. She is especially handy around the house, if she hears me drop something, Maizey will come trotting in and pick things up off the floor and hand them to me⏤she seems to really enjoy this. Maizey enjoys having her active mind put to work and has a repertoire of various tricks and skills that she will happily show off to anyone who wants to watch. She loves to carry a little towel in her mouth and bark with roo-roo-roo noises to show off for extra attention – she knows that everyone thinks it’s cute! She is an outgoing and friendly girl, and enjoys saying hi to her friends and meeting small dogs. I love spending time with Maizey, she is silly and fun and brings laughter to the household every day. 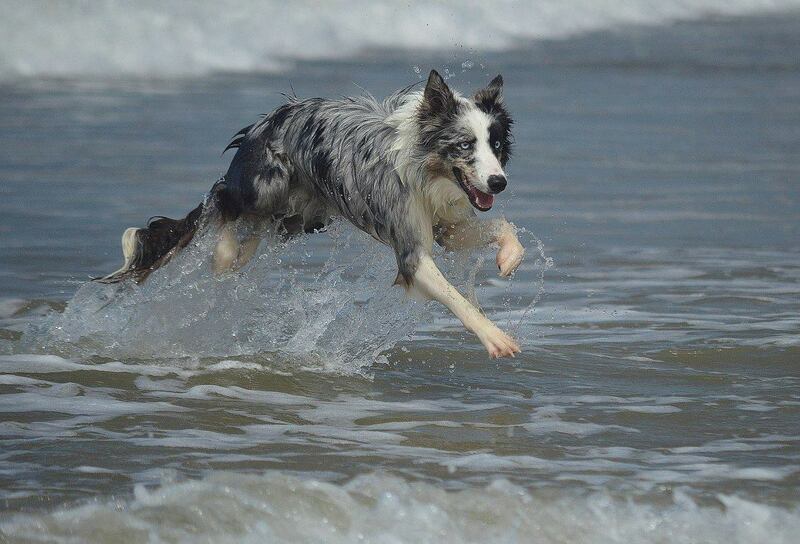 Maizey’s most favorite thing to do is running up and down the beach with her sister Kylie, and they both love swimming in the waves for a tennis ball. Maizey also enjoys playing frisbee, she is fantastic at making some very tough catches. * 2014: Steeplechase, 3rd Place. Grand Prix, 2nd Place. 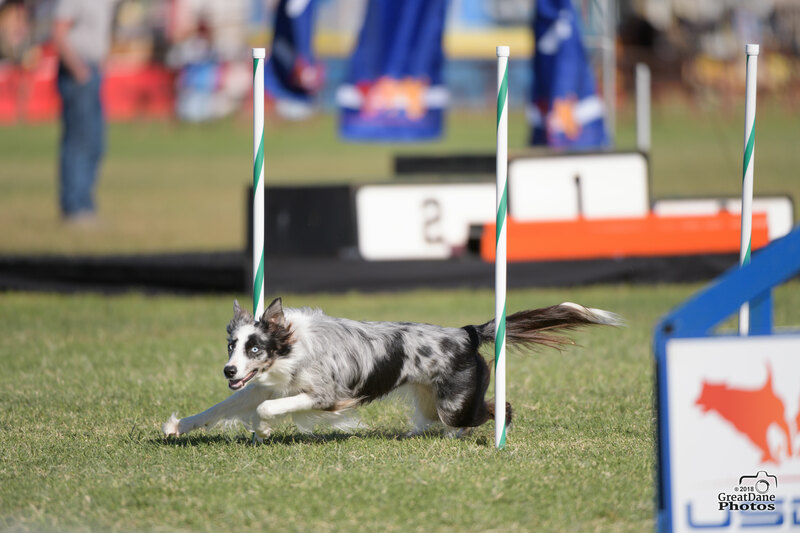 Maizey competed at the 2014 Cynosport Championship and earned medals in Team Standard and Snooker, and made the Finals in Team and Biathlon as well. 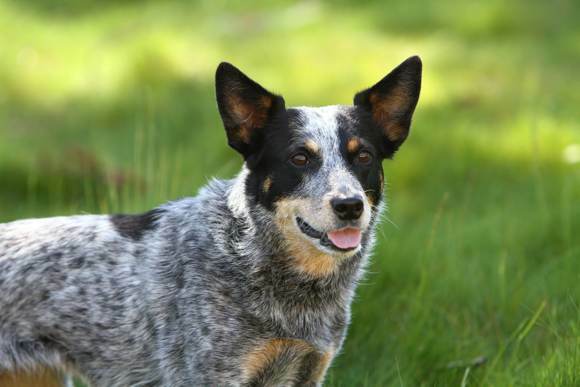 In October 2011, Maizey earned her AKC MACH title, the highest title in AKC agility, and became the youngest Australian Cattle Dog in history to earn this. Maizey is my first dog with multiple MACH titles, and I am so proud of my super girl! 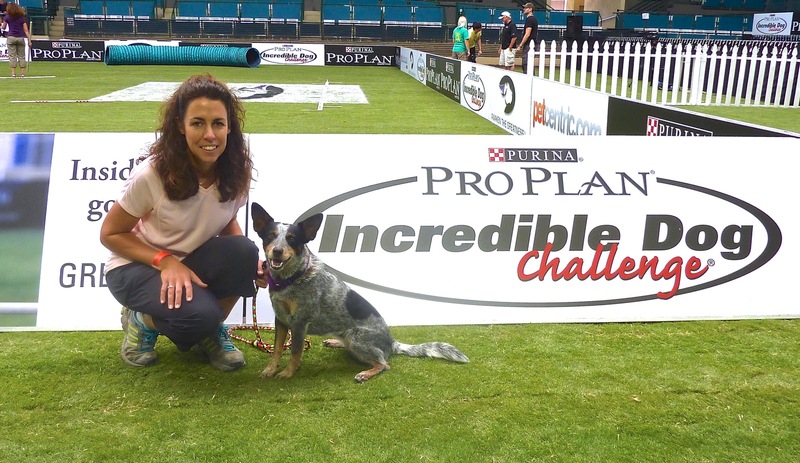 In October 2010 and 2013, Maizey competed in Agility and Rally at the Australian Cattle Dog National Specialty. 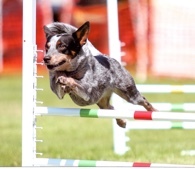 At the 2010 Specialty, she earned the award for Fastest Time Overall in Jumpers with Weaves the first day, and had numerous High ACD in Class awards for Agility. Maizey won a Novice Rally class, and was part of a 4-dog team that won the Team Rally class at the Specialty. When not doing agility, Maizey loves going for trail runs with my husband, Mike, and romping on the beach is her all-time favorite activity. 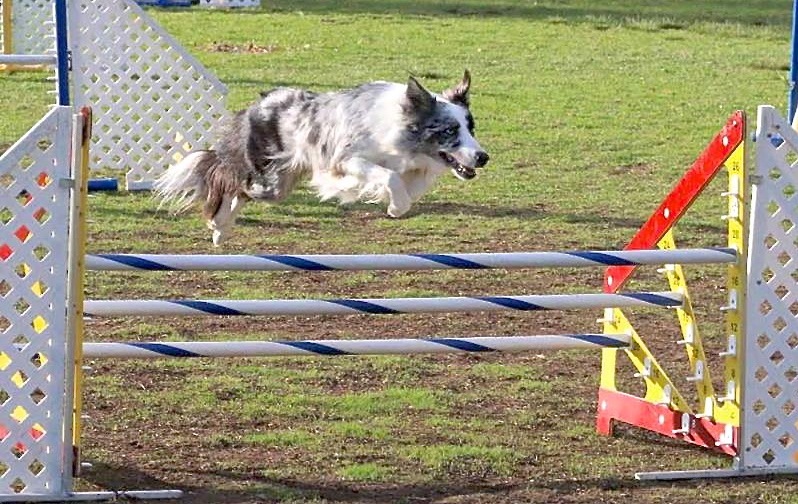 I am looking forward to more fun with Maizey in both Agility and Rally, and am so happy to have such a fun-loving teammate. 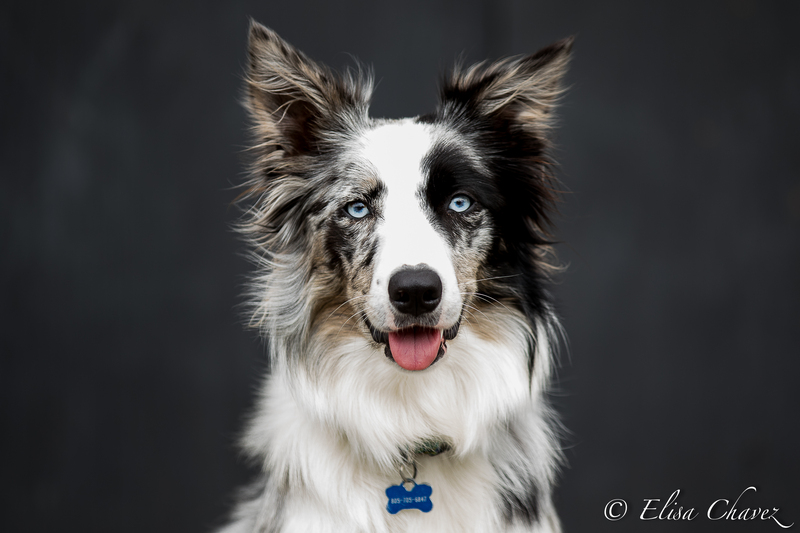 Avid is a 3-year old Border Collie, and is now a well-established member of the Swan family. 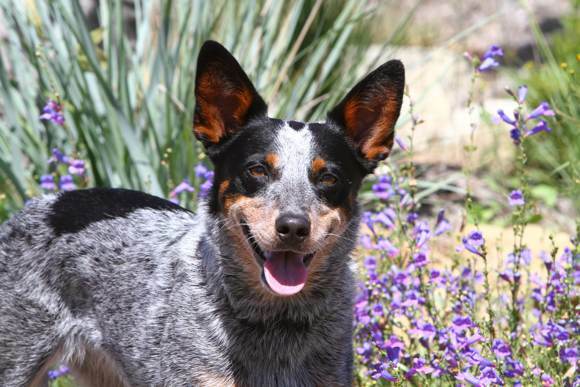 Avid is active, intelligent, playful, athletic and sweet – sometimes she is quite silly with a funny sense of humor. If not kept busy, she will find things to occupy herself – usually finding a treasure out of the recycling container to play with in the yard. 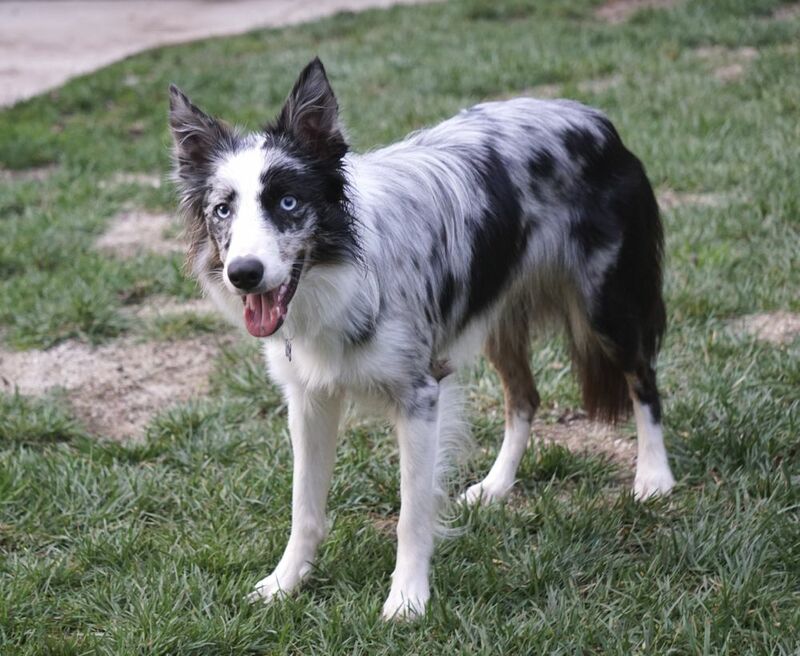 Avid came from Game On Border Collies in Illinois, and is a half-sister to Mia’s boy, Rich. Avid has been competing in Agility for the past year, and she is showing a lot of enthusiasm and promise early on. 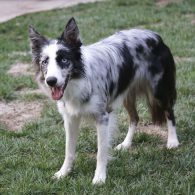 Anne is very excited to have another great dog to enjoy agility with, Avid lives up to her name of being a fun-loving partner and is very light on her feet. 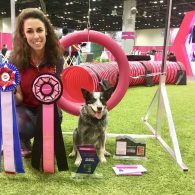 Avid has competed in a couple of USDAA Regional events and most recently, her first Cynosport National Championship. 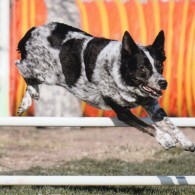 Avid has done well in her DAM Team classes at the 2018 Cynosport event in Scottsdale, AZ, and was a semifinalist in the Steeplechase class. The journey is just beginning, with even more fun in store for the future. Avid is a quick learner and is always ready for a good time. She enjoys romps on the beach, playing tug, frisbee, or retrieving her ball, chasing water from the hose nozzle, and racing down the trails at the bluffs with her sister, Maizey. Avid likes to start each day with a few yodels and silly sounds which are very endearing. Avid has done several sheep herding lessons, and with some time and effort (on Anne’s part) Avid would excel in this discipline as well. For now, Avid will have to be content being the #1 supervisor of the pet rabbits at the Swan house. Anne and Mike are so thrilled to have Avid in the family, and look forward to a fun and bright future with this special girl. Zip is a 14 year old blue-merle Border Collie and is quite a character. He likes to remind Anne that a sense humor and patience are necessary qualities when training dogs. He has a zest for life and brings his high level of energy and heart to both agility and obedience. 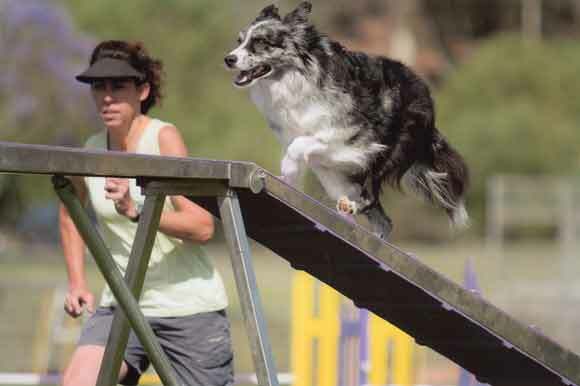 He competed at the 2005 USDAA Agility National Championships by qualifying for the Steeplechase, the Grand Prix and the DAM (Dog Agility Masters) team competition. 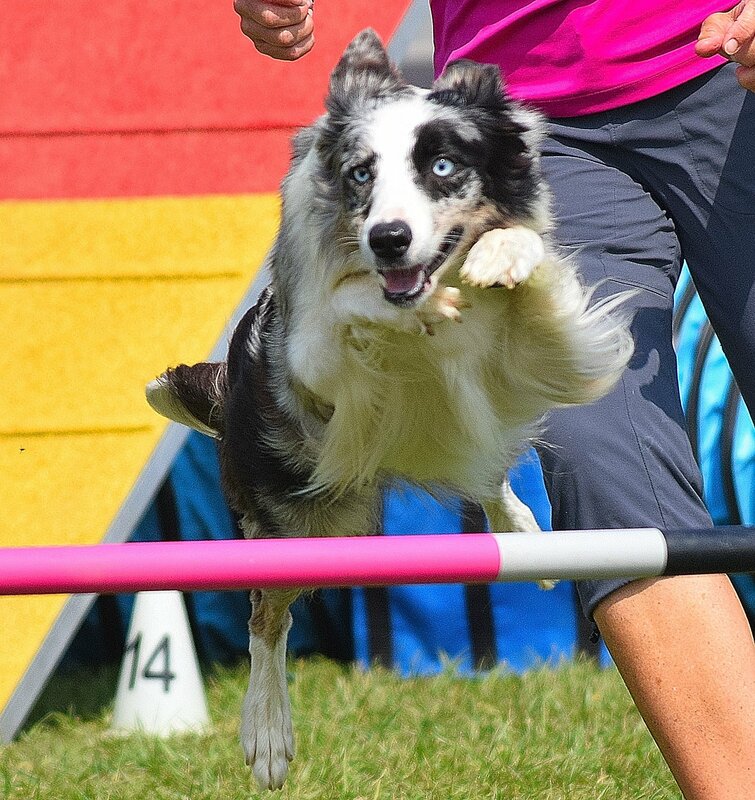 Zip qualified into the semifinal round of the Grand Prix at the USDAA Nationals by placing very well among some of the fastest dogs in the sport. In addition, he competed in the 2006 USDAA Nationals and won the Semifinal Round of the Performance Grand Prix and earned a spot in the Performance Grand Prix Finals. He won the 16” Performance Power and Speed class in 2006 as well. Zip had a great year at the 2008 USDAA Agility National Championships and finished 4th overall in the European Standard class. 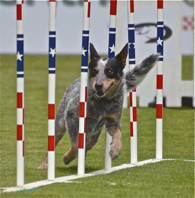 Zip participated in the 2009 USDAA Agility Championships, qualifying to run in PVP Team, Performance Grand Prix and Performance Speed Jumping. 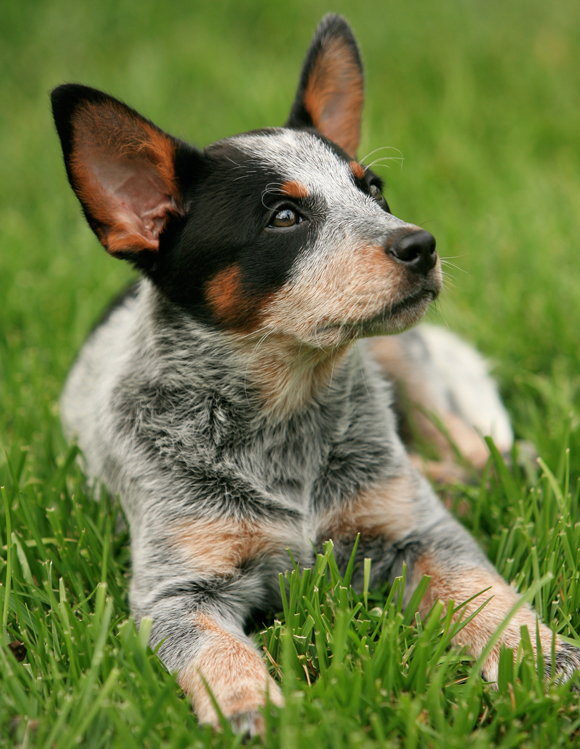 Zip competes in both AKC and APDT Rally Obedience, and has been nationally ranked in APDT Rally from 2005-2008. 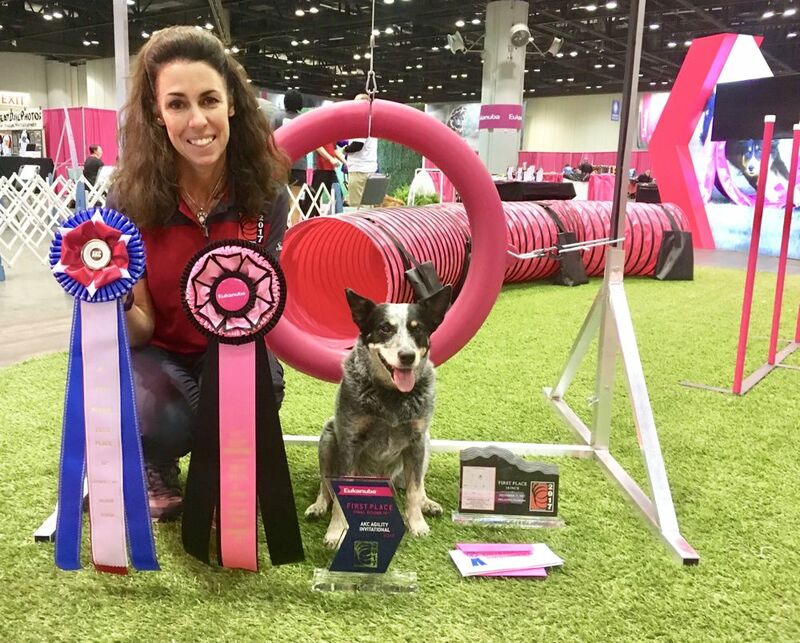 In AKC Rally, Zip finished his RAE Championship title in 2011 at the age of 12 years old, performing beautifully while dealing with a cancer diagnosis at the same time. 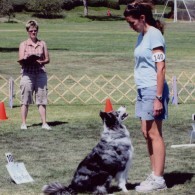 In 2006, Zip became the #1 Nationally Ranked RL1 Dog, as awarded by the APDT Rally organization. In 2008 Zip has earned his APDT Rally Championship titles, both the ARCH and the ARCHX. Zip competes in AKC Rally Obedience at the Excellent Level. He also earned his ASCA and AKC Novice Obedience titles, has several titles in Flyball and is a certified therapy dog. Zip’s greatest asset is his immense desire to try and keep trying, his desire to please sometimes outweighs his ability—this special quality is called “heart” and it cannot be trained, animals either have it or they do not. Zip has a great deal of heart and Anne appreciates his resilience as he was a large part of her learning process. Zip has a great deal of heart and Anne appreciates his resilience as he was a large part of her learning process. He is now retired from competitive dog sports, and enjoys long walks on the beach and the trails—Zip’s favorite past-time these days is taking his time in sniffing all the things he finds interesting. Zip made many cross-country trips with Anne, Mike, Kylie and Maizey over the years. He enjoyed seeing new places and was a great traveler. One of his most favorite places to visit was Mike’s parents’ property in Olympia, WA. He would spend summer days and nights walking all over their 7-acre wooded property, checking out the interesting smells and the expansive view of the Puget Sound. In September 2014, Zip crossed over the Rainbow Bridge to be reunited with Kiwi. He is so dearly loved and missed by Anne and Mike. Zip was such a special dog, an enthusiastic teammate, and a cherished family member. His zest for life and enduring spirit lives on in the many years of fond memories that Anne and Mike were fortunate to share with him. 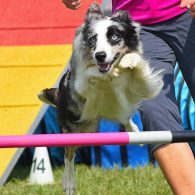 Kiwi has been a skilled and patient teacher and was Anne’s first official Agility and Flyball dog. Kiwi was ranked in the Top Ten Australian Cattle Dogs in Agility for several years and in 2004 she became a National Champion in the 16″ Standard Agility class at the Australian Cattle Dog National Specialty. 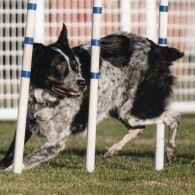 Kiwi was also a National Finalist in the Performance Grand Prix at the 2004 USDAA Agility National Championships in Arizona. Kiwi became a National Champion by winning the Performance All-Around Standard class that year and her second place finish led to Reserve Champion in the Performance All-Around Jumpers class at the 2004 USDAA Nationals. 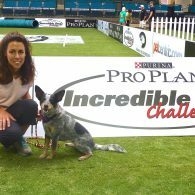 Kiwi returned to agility after a tendon injury and surgery and competed in the 2004, 2006 and 2007 USDAA National Agility Championships. She qualified into the Semifinals of the Performance Grand Prix and finished 8th overall in 2006. 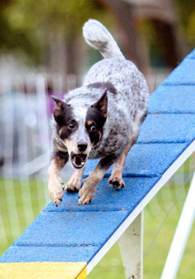 Kiwi retired from Agility in early 2008 and crossed the Rainbow Bridge in March of 2009. She is deeply loved and dearly missed and Anne is eternally grateful for the adventures and fun they shared together. Kiwi was Anne’s close companion, teacher and teammate and Kiwi’s love for a ball was one of her trademarks.